March 1942. 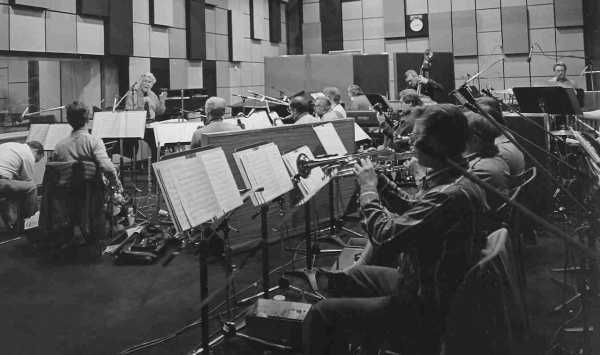 The BBC Scottish Variety Orchestra conducted by Ronnie Munro, with Ann Rich at the microphone. One only has to glance at an old copy of the 'Radio Times' from the 1930s to see that the entertainment provided was vastly different from twenty-first century radio. No disc-jockeys, personality presenters or banal interviews with the latest non-entity to be called 'a celebrity'. Just intelligent speech programmes and music - a lot of music - nearly all of it played live either in the studio or from locations around the country. A wealth of light orchestras, brass and military bands regularly took to the airwaves as did the occasional dance band. Occasional, because the then Director General of the BBC, Sir John Reith did not approve of them, and as a strict Presbyterian would certainly not permit them on a Sunday! In addition to the 'outside orchestras', the BBC had its own staff orchestras in London and in the Regions. Until the mid-thirties, Glasgow had the Scottish Studio Orchestra, under the direction of Guy Daines. Available records would suggest that after this time, whilst this orchestra still gave the occasional programme of Scottish Dance Music, it had actually become simply a section of the BBC Scottish Orchestra - which still exists today as the BBC Scottish Symphony Orchestra. 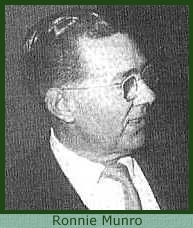 It was late in 1940 that the BBC decided to form the Scottish Variety Orchestra under the direction of Ronnie Munro, whose experience had hitherto been primarily in the dance band world. Indeed, the new orchestra had an instrumentation which would enable it to play both light music and dance music - and anything between. Having a saxophone section, it was effectively a showband, one of its functions being to accompany the variety shows which emanated from Scotland. It had regular appearances in 'Music While You Work' and in the long-running series 'Sunday Serenade' for which Ronnie Munro penned hundreds of arrangements. 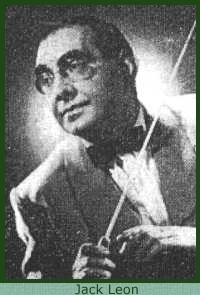 When Munro's contract as conductor of the Scottish Variety Orchestra expired in 1944 he was replaced by Kemlo Stephen, the intention being that Ronnie Munro should continue to do 'Sunday Serenade' but with his own orchestra, comprised of session musicians. This caused quite an embarrassing incident, both for the BBC and for Ronnie Munro. When Kemlo Stephen went to the BBC library to get some arrangements for his first programme he found that everything that he wanted to use had disappeared! He was then forced to use stock arrangements of familiar pieces - hardly the way to make an impression on a first broadcast. The fact was that Ronnie Munro required the items for 'Sunday Serenade' and believing them to be his property, had removed them from the library! They were, after all, his own arrangements. The BBC, however, took a different view and considered that as they had commissioned Munro to do them in the first place, the arrangements were theirs! Consequently, BBC personnel went to Munro's house and reclaimed them! 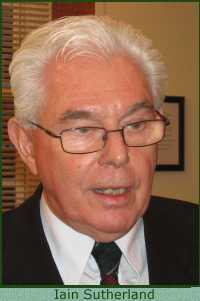 In one of a series of angry telegrams from Glasgow the BBC said; "We will help Munro, although he little deserves it!" The 'help' was that the BBC would lend Munro three weeks of arrangements, after which time he was expected to have done new ones - some task! But this paled into insignificance when, on a later occasion, his car was broken into outside his home and all his arrangements for the next day's broadcast were stolen! Ronnie Munro sat up all night rewriting them - a seemingly impossible task. Under Kemlo Stephen, the dance band element of the orchestra was toned down and the emphasis was on straight light music. At the end of the war the orchestra's title was amended to BBC Scottish Variety Orchestra. The prefix BBC had not been used during Munro's reign as the orchestra had been of 'ad hoc' players, rather than a regular personnel of BBC staff musicians. Although Kemlo Stephen remained as conductor of the orchestra for about ten years, his latter years were marred by illness and other conductors were regularly drafted in to conduct the orchestra when he was unable to do so. The BBC were somewhat concerned that the standard of performance of the orchestra had deteriorated markedly - as a direct result of Stephen's illness, and demoted the orchestra to less high profile programmes. When Kemlo Stephen died in 1954, there was much debate within the BBC as to whether it was fair to him, or indeed to listeners to keep him in the post when he was clearly not well enough to maintain the required standards. 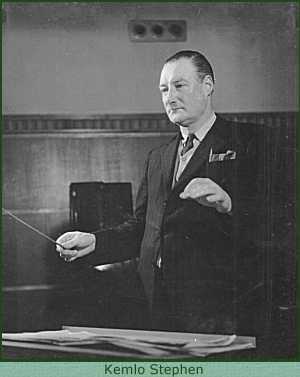 Anyway, after a period during which a number of London conductors, such as Lou Whiteson, Sidney Bowman and Reginald Kilbey 'held the fort', Michael Collins was appointed conductor of the orchestra early in 1955. During his tenure of office, standards of performance improved and the orchestra gradually regained their high profile programmes. However, he was only destined to stay for just over a year. It was always a problem for the BBC to entice conductors away from lucrative London work to fill vacancies in the regions. After several months during which Arthur Anton stepped into the breech, the BBC were able to secure the services of Jack Leon, an excellent musician whose own orchestra was one of the most polished on the air. However, Jack Leon was no soft touch. It was immediately apparent to him that the Scottish Variety Orchestra did not have the discipline or the musical prowess of his hand-picked London orchestra, and his efforts to improve matters did not endear him to the orchestra. Unlike Jack Coles, who later became conductor of the Midland Light Orchestra, he did not believe in socialising with his players; neither was he prepared to accept the fact that some of the musicians were inclined to overindulge in drink - and this resulted in some early sackings. 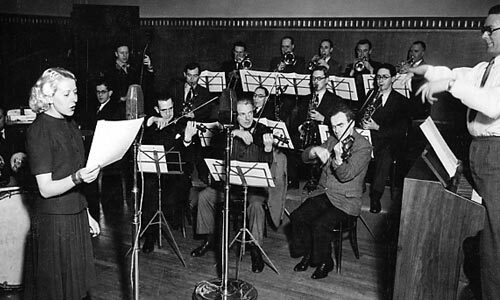 The 24-piece BBC Scottish Variety Orchestra was essentially a theatre orchestra, similar in size and instrumentation to Jack Leon's former orchestra in London and, in common with many theatre orchestras used a couple of saxophones. These not only added a certain fullness to the orchestra's sound, but could be used very effectively in show selections or medleys of popular tunes. Unfortunately, the BBC took a different view. They were quite happy for orchestras to use five saxes - common practice in most dance bands and, indeed with the BBC's own Revue and Variety Orchestras, but two or three saxes were deemed to have 'an aura of the early thirties!' So, in 1961 the order went out that they were to be removed - a bad decision in my opinion! One musician who was displaced was Ian Gourlay, a founder member (and singer) with the orchestra who had often conducted them when they were without a regular conductor, and who had on one occasion auditioned (albeit unsuccessfully) for the position of conductor. He had also done many of the orchestra's arrangements! Jack Leon and the orchestra (which was led by Jack Nugent) participated in a wide range of programmes - "Bright and Early", "Morning Music", "Melody on the Move", "Lunch Date" with the delightful singer Kathie Kay and "Music On the Move" in which they played programmes of Scottish Dance Music ( always an important part of the orchestra's repertoire). The orchestra's accordionist Archie Duncan was featured prominently in these arrangements. In 1965 Jack Leon reached the age of 60, the retirement age of BBC employees but Jack did not want to go! He never really liked guest conductors directing what he perceived to be his orchestra, and somehow it would appear that he secured an extension. His successor was a young violinist named Iain Sutherland, who had shown a great aptitude for light music and had received several test engagements with the orchestra. Iain told me some years ago that there was a certain tension between himself and Jack Leon at this time. However, Jack finally retired from the orchestra in the Summer of 1966. Not willing to be put out to graze, it was not long before Jack formed another orchestra for broadcasting. However, he was only destined to do a few broadcasts as, sadly, he collapsed in the street in Glasgow, having suffered a heart attack from which he died aged only 61 on 10th March 1967. Jack was a perfectionist and regarded by his musicians as a 'hard task-master', but his daughter Miriam remembers him only as a kind and loving father from whom she was parted at the tender age of eighteen. The orchestra had given noble service to light music during Jack Leon's 'reign' but saw Iain Sutherland as a breath of fresh air. Here was a young man, full of enthusiasm for the genre, a violinist who had gained much experience working with some of the world's most distinguished conductors, including Boult, Sargent, Groves and Solti. Certain changes were inevitable, and Iain, whose favourite light music composers were (and still are) Eric Coates, Robert Farnon and Leroy Anderson, set about establishing his own repertoire, which included film music and the lighter classics. One major change was the name of the orchestra. As the London based BBC Variety Orchestra had merged with the Revue Orchestra to form the BBC Radio Orchestra - this being the terminology applied to broadcasting station orchestras in Europe, Iain recommended to the BBC that Glasgow's orchestra should be renamed the BBC Scottish Radio Orchestra. So this it became in January 1967. 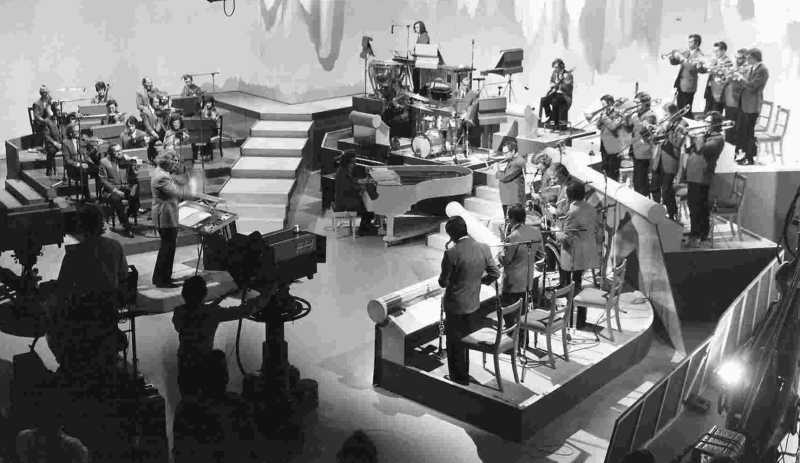 The orchestra gave a weekly Tuesday morning broadcast in 'Music While You Work' between April 1967 and the programme's demise in September of that year, as well as playing in all the other regular light music slots. It also played for television, accompanying singers such as Moira Anderson. With the broader range of music now being covered by the orchestra, it was soon regularly playing (about twice a week) in the Radio Four series 'Morning Melody', broadcast between 10.30am and 11.30 am each weekday morning. It was still light music, but of the older type - suites and overtures etc. Iain remained conductor of the orchestra until 1972 when, as part of a revamp of their orchestras, the BBC completely changed the structure of the orchestra, creating what was to be known as "The New Scottish Radio Orchestra" under the direction of Brian Fahey, an experienced conductor, arranger and composer of such familiar tunes as 'The Sign of the Swinging Cymbal'. Incorporating a full saxophone section, the orchestra was now more of a big-band with strings than a conventional light orchestra. Indeed many of their broadcasts featured just the dance band section of the orchestra, their full complement being 32 players. The death-knell had been sounded for light music at the BBC some years previously and to quote Iain Sutherland: "Light music isn't dead, the BBC are in the process of burying it alive!" The problem with using the word 'new' to describe a musical combination is that it can't remain 'new' for ever and the orchestra eventually reverted to its previous title. To the envy of the London-based BBC Radio Orchestra, their Scottish counterparts regularly did television work accompanying the likes of Kenneth McKeller, Lena Martell and Moira Anderson. 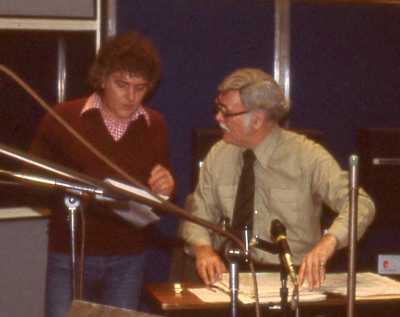 Apart from doing 'holiday relief ' for the Midland Radio Orchestra in their weekly 'Radio Two Top Tunes' series, for which they were augmented, they recorded 'inserts' for the many personality presenters' music and chat shows which had taken over from more imaginative programming. The sad fact was that with the ever-increasing air-time being given to what is laughingly called 'pop culture' there wasn't much time available for studio orchestras, the costs of which were becoming disproportionate to their use. So, in 1980 the BBC announced its intention to disband most of the lighter orchestras, as well as the Scottish Symphony Orchestra - but to save the Scottish Radio Orchestra. Strike action followed which seriously disrupted the Proms. Incensed musicians took every opportunity to state their cause, the BBC Concert Orchestra and the BBC Radio Orchestras giving free concerts on London park bandstands with the Scottish Radio Orchestra doing the same in Glasgow. The compromise that ended the strike saved the Scottish Symphony at the expense of the Scottish Radio Orchestra, which had previously not even been considered for disbandment. The irony was that whilst the radio orchestra had fought to save its classical counterparts, when the situation was reversed nobody lifted a finger in their defence! Part of the compromise included a guarantee that the BBC would give all displaced musicians an agreed number of engagements per year, for the next five years. As a unit, the Scottish Radio Orchestra was officially disbanded early in 1981.